Earthquakes, fires, floods, hurricanes – media has to cover these natural disasters quite often. The importance of being informed is more prominent in these situations. Audience waits for the new information. 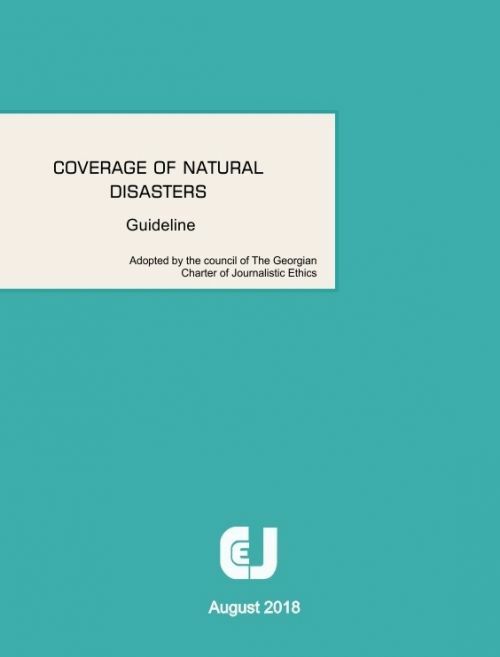 The correctness of disseminated information is critical, especially in the first stage of the disaster. While working on these topics, journalists also have to take care of their own safety. The editorial board has to be sure that a journalist, in addition to being professional, is also physically and psychologically prepared to cover natural disasters. Transportation, food and other technical issues need to be taken care of. Evacuation plan needs to be prepared including the transportation used for it. It is important that editorial board has information about other media companies in the disaster zone. In case of losing connection to their own crew, they can contact others. Find as much information as possible about the incident. They can ask help with this to the local journalists. Create a database of contacts of responsible institutions, experts, interested parties and locals, who may have additional information. Determine the working location as well as the location to stay for the night, if such need arises. Study the surrounding area and place. It is necessary to have a printed-out map and a map application which works without internet connection and has markers for the epicenter of the disaster, hospitals, shelters and help centers. Journalist needs to have first aid kit with him/her. Check chargers, adapters, memory cards, accessories which he/she may need. It is better to have more than 1 sim card, in case one of the networks has a problem. 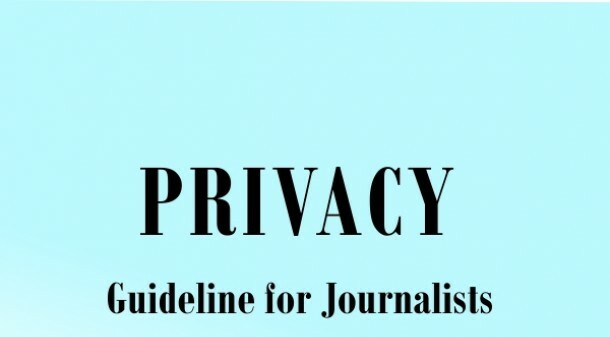 If a journalist working in the field thinks, that it is dangerous to go to certain location, even if editor-in-chief asks to go there, he/she can leave the workplace, provide arguments for this decision and inform superiors. Safety of the journalist is a priority. Shoes have to be closed, comfortable. In case of flooding – waterproof, light and high. Trousers and tops are better to be light, neutral colors (don’t wear khakis or cloths like military uniform). Do not wear jeans, because they are uncomfortable and heavy when wet. Take a medical face mask or a scarf, which you can use to protect from smoke, dust or gas. When choosing a place to spend night, prioritize safety. Depending on the situation this can be a famous (brand) hotel or a private house. It is better if the flat is not far from civilization, does not stand alone or on a street, which is a dead end and does not have open connection on two ends. After choosing a place, study all the exits of the building. Don’t stand near trees, because in hurricanes and fires there is a chance of branches and tree falling. A tree can also be struck by the lightning. Stay away from places covered with water where electric cables can be places. Don’t walk without shoes. In case of fire, windows in the car have to be closed and the door unlocked. Ventilation has to be turned off. Control the direction of the wind. Stay away from the fire. Gossip chances, speculations and invented stories are frequent in disasters. Therefore, verified information is important. Incorrect information may confuse and endanger people in the disaster zone. It is a challenge for journalists not to create unfounded fear and panic in society while delivering the information. The tone of the coverage must be as calm as possible. In disasters journalists often have a hard time drawing a line between activism and professionalism. It is important to understand your role precisely. Maintaining balance is necessary while trying to help injured people. Don’t forget that you are not a part of the humanitarian help mission. Editorial board has to define when to switch to state of emergency regime, how to cover events on different platforms – social media, official web-page, auxiliary web-pages, etc. While working in emergency regime, try to share verified information to avoid speculation and panic. If journalist has to share unverified information, this needs to be stated clearly to the audience. Pay attention to those who say that they are eyewitnesses. Ask them details and make sure that they saw what they are talking about themselves. There is higher risk of sharing fake audio-visual materials in disasters. Check the materials sent in by the citizens. You need to make sure that the information is correct. See: The guidelines of using social media. Institutions responsible for helping, informing, preparing citizens, etc. Amount of damage and government’s plans/events to help the injured. People injured from disasters often appear in the center of media attention without trying or being aware of it. In such instances it is important to respect their privacy and not to invade their personal space. Try not to use the material which will offend an injured person. Look at how they are depicted in the material. You need to have a balance of public interest and sharing the material which depicts human suffering. When interviewing a person consider their emotions. Don’t force them to remember details which will cause them trauma. Don’t stay in their property if they ask you to leave. Don’t follow them if they ask you not to. Don’t bother them with frequent calls, messages and waiting outside of their home. Tell them which media company you represent. It is necessary to have a permission to record a funeral. In other cases, editorial board must prove that there was a high public interest. 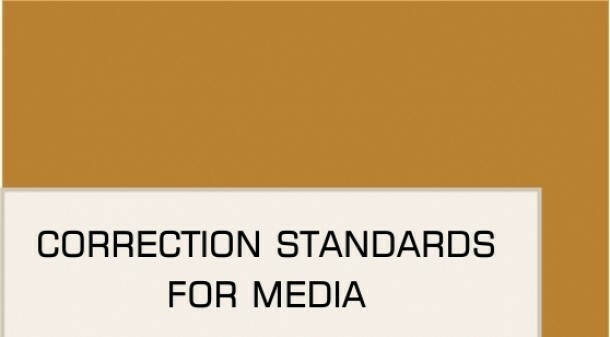 When sharing sensitive material (view of injured, deceased people) online or broadcasting media has to warn audience about it. Press has to avoid using such images on the cover and front pages. Manipulation of video/audio footage is unacceptable. When reconstructing an event, it has to be clear that the situation is staged. You have to think what results can sharing disturbing images, over and over or at length, cause. When a media is describing disaster results again, they have to think whether it is worth to show images again which depict human suffering. Think of emotions of survivors and their families.